• Circular chromosome attached to the inside of the cell membrane. • Single chromosome plus plasmids. • Made only of DNA. • Copies its chromosome and divides immediately afterwards. • Usually,10-50 chromosomes in somatic cells. 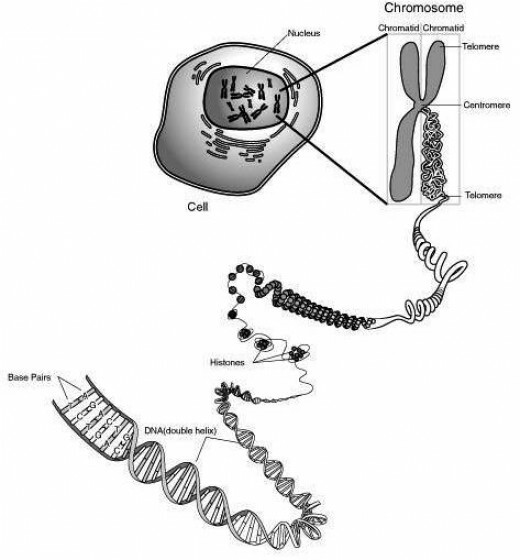 • Human body cells have 46 chromosomes. 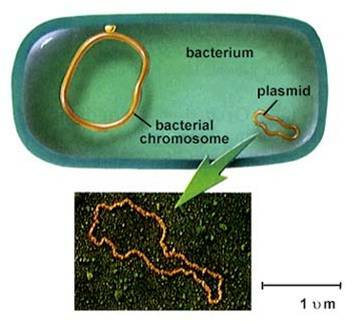 • Made of chromatin, a nucleoprotein (DNA coiled around histone proteins). • Copies chromosomes, then the cell grows (G2 phase), then goes through mitosis to organise chromosomes in two equal groups.